Jill Gibbon is a politically engaged artist with research interests in war, drawing, and aesthetics. 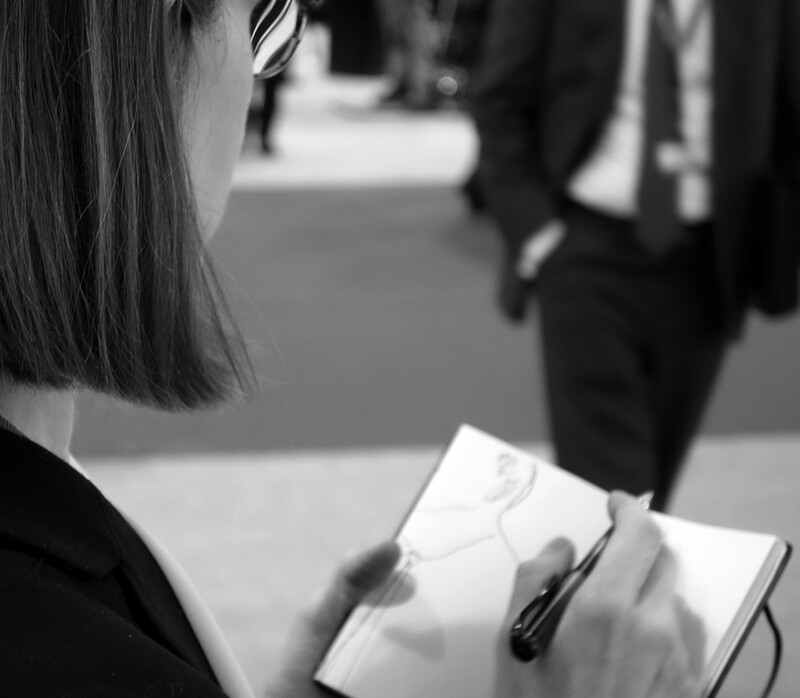 She is currently documenting the secretive world of the international arms trade by drawing undercover in arms fairs. She gets in by dressing up as a client, the cover mimicking the masquerade of respectability in the industry. She regularly exhibits her work, and has drawings in the permanent collection of the Imperial War Museum, and Peace Museum. She has a B.A in Graphic Arts from Leeds Polytechnic, an M.A in Visual Arts from Keele University, and a PhD in Drawing from Wimbledon School of Art. She lectures in Graphic Arts at Leeds Beckett University.